A very tense and interesting movie that showcases what went on during the 2008 presidential election and how such a crazy spectacle could have ever taken place. 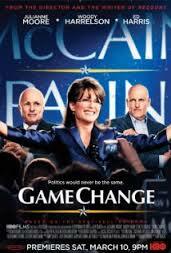 Game Change is an impressive and edge of your seat movie. That’s pretty amazing considering it’s not a thriller or a mystery at all, and also that we know exactly what’s going to be the final outcome. It’s also impressive since it is all based on real events and events that are very recent and fresh in people’s heads. Basically, this movie had every reason to fail, and yet somehow it managed to pull off a monster success story. That’s because instead of going for humor or for pandering to mainstream audiences, this movie goes for the jugular. It goes for an in detail, holding nothing back, look at what went on during our last presidential campaign. Movies are made about presidents and about elections all the time, but never one about the president who is currently in the white house and the opposing side that ran against him. I suppose it’s a trend that started with Oliver Stone’s W., which was the story of George W. Bush, and came out right as that president was leaving office. Game Change took it a step further. It’s a movie that makes the republicans look like fools, and for that I’m not thrilled, only because they are such an easy target. After all, didn’t w do the same exact thing? At this point not only does every recent republican president get a movie made about him, but so does every republican nominee (where’s the movies about Clinton or Obama)? And the goal of each of these movies is to point out how ridiculous the republican politicians were. It would be a lot easier to dislike these movies if what they were saying was untrue. But the reality is, the whole Sarah Palin thing is indeed laughable, and by telling not as a farce or slapstick, but as black comedy, if any comedy at all, the movie gives itself the chance to really examine the situation of what happened instead of merely making fun of it. That means not all republicans in this movie are shown to be morons. In fact, really only palin is. John McCain, as well as the advisors who hire palin for the job, are all pretty smart people who just make a terrible mistake. The movie is told through the eyes of one of McCain’s chief campaign advisors, a man named Steve Schmidt, played by woody harrelson. This is a great actor to play the part. Harrelson is everywhere these days, having the strongest year in his career, from being the star of this film, to raking in critical acclaim in the indie film rampart, to being one of the major adult stars in the megahit film, the hunger games. In game change, he works wonders as the voice of reason and the man who really is responsible for the mistake. The movie begins with his character being interviewed by Anderson cooper, and then it freezes on a question of whether he would do it all again if given a second chance. From there we flashback to the beginning of the story with McCain falling behind the other republican candidates in popularity. Schmidt is merely a buddy of McCain’s, not working for him, at the time, and he gives his friend the advice to just embrace who he is and tell the people the truth about what he thinks of certain things. If he thinks the surge worked, than don’t be afraid to say it. He needs to differentiate himself from the other republican candidates, and no sooner does he take Schmidt’s advice, does he move ahead in the polls. That leads him to ask Schmidt to come out and help on his campaign, and from there we start getting into the debate about who will be McCain’s running mate. The talk is that Obama is not a politician, but a celebrity. He has never had any accomplishments in politics before, and yet the people embrace him as a pop icon. And the republicans are seen as the people who keep trying to tear him down. They need to stop trying to make Obama look bad and come up with a celebrity of their own. It’s that conversation as well as the one about how the female vote is a key problem for both sides, that leads the republicans to start looking at women. They choose Sarah Palin because of her down to earth sort of wholesomeness. On a television interview she talks about being at one of her kids’ soccer games and talking to the other parents about issues. She’s a real person. Problem is, so was bush. He was a guy the people thought they would like to have a beer with. That’s hardly someone who should be leading the country. The movie brings Palin on board and suddenly she is subject to debates and interviews that she is not ready for at all. When the advisors realize just how little she really knows, it is one of the most intense moments in the picture. It takes place on an airplane, when palin mixes up the war in Iraq with the war in Afghanistan, and the advisors meet in the back of the plane to talk about how they let her lack of knowledge slip by unnoticed. The movie then goes on to give us palin’s downfall, as she plunders in multiple interviews, and her mental demise. It gets pretty wild, not only watching her fall apart, but also watching the ways the republicans try to cover it up. They are trying to pull a huge scam on the country, hoping that if she can just memorize some answers, they can hide how stupid she really is from the world. It’s the coolest, most uncomfortable cover-up movie I’ve seen since shattered glass, where Hayden Christiansen as a news reporter was literally inventing sources and their quotes out of thin air. Game Change might not be as extreme as that, but it certainly comes close. And Palin doesn’t just fall, she let’s her power go to her head, and actually rises again during the course of the movie, trying a couple of times to take over the entire campaign and be the bigger star than McCain. 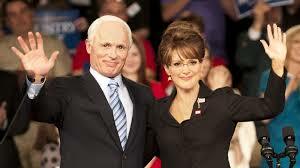 The acting here is first rate, with Julianne Moore playing Palin, and End Harris playing McCain. They couldn’t have found better people for the roles. It’s a pretty gritty, edge of your seat movie, and absolutely amazing that it was based on true events, and also that they were able to make such a gripping movie out of it.